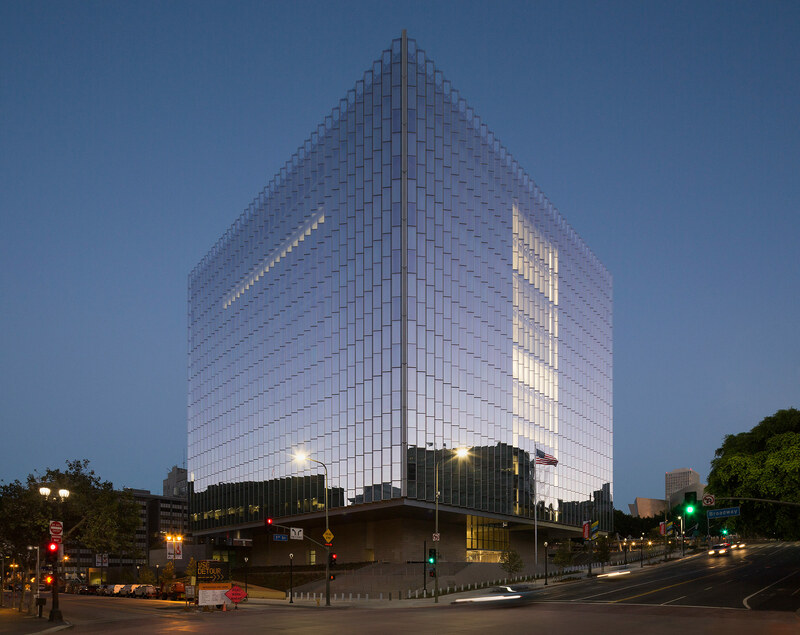 The new Los Angeles U.S. District Courthouse is located downtown midway between City Hall and the Walt Disney Concert Hall, and it’s a worthy companion to those exemplary civic landmarks. Skidmore, Owings & Merrill (SOM) won the competition four years ago with a simple yet powerful design: A cube of folded glass that seems to float above a recessed base. The nine upper floors are suspended from a multi-dimensional roof truss system supported on four structural cores—a strategy that halves the amount of steel a conventional building requires and makes it more resistant to a blast than one supported on columns. Architects and the Clark Construction Group collaborated on a design-build program that brought the building to completion in 40 months, and it expects to secure LEED Platinum rating. Few buildings achieve so much, so quickly, and SOM has made a significant contribution to the renaissance of Downtown L.A., which is still a work in progress. A park designed by OMA and Mia Lehrer + Associates will occupy the long-vacant block fronting City Hall, and a Frank Gehry–designed mixed-use complex, repeatedly delayed, may soon begin construction to the west across from Disney Concert Hall. To exploit the drop of 25 feet from Hill Street to Broadway, the building was raised so that—as Hartman noted—the topography flows under it and it stands apart, accessed by steps on three sides and by ramps that slice up through gardens to either side of the entry. Steel bollards provide an unobtrusive security perimeter. The downtown grid is 38 degrees off from a true north-south orientation, which complicated the architects’ task of protecting the facades from solar gain. Rather than rotate the building, they folded the glass. About 1,600 chevron-shaped units of high-performance, blast-resistant glass were craned into place, and nearly all of them have an inner baffle on the side that receives direct sunlight. 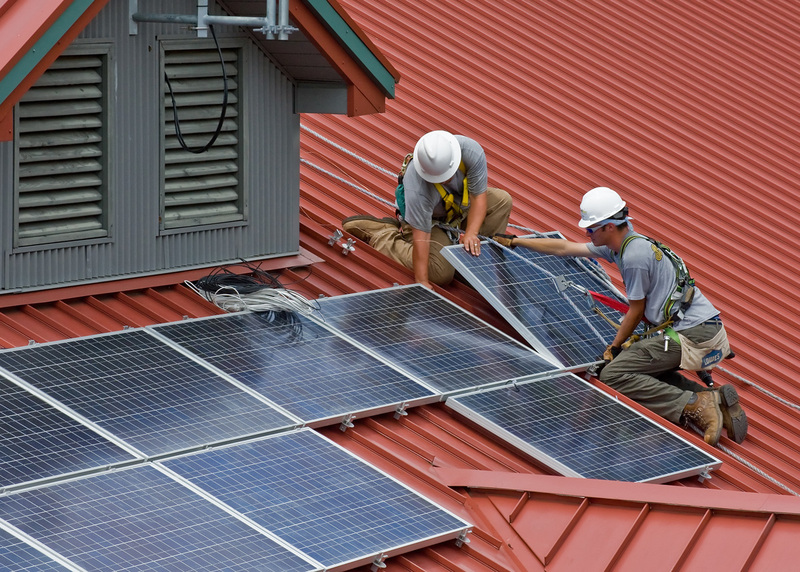 That cuts solar gain by half, and a rooftop array of photovoltaic panels further reduces energy consumption. The elegance of the detailing at the corners and along the upper and lower edges is the product of intensive research by SOM, which constructed full-scale mock-ups and worked closely with curtain wall manufacturer Benson Industries. The upper stories are cantilevered 28 feet over an entry plaza, shading people who are waiting to pass through the security barrier inside the glass doors. From there, they emerge into a soaring atrium with south-facing baffles that channel light down to all 10 levels, including the 24 courtrooms on floors five through ten. “The whole building is about light,” said José Luis Palacios, design director at SOM with Paul Danna. The courtrooms are lit from clerestories facing in and out to achieve a harmonious balance. United States Marshals deputies share the third floor with the holding area for the accused. The 32 judicial chambers occupy the periphery with sweeping views of the city. Artworks, including a multi-level work by Catherine Opie, enhance the minimalist interior. The public has free access to the upper floors and to a tree-shaded patio in back, which is flanked by low, meticulously detailed glass wings. Jurors gather in one and a cafe occupies the other. Many cases are settled by mediation, even on the day scheduled for a trial, and there are breakout areas with comfortable seating on three upper levels to accommodate these encounters. Only a small amount of artificial light is required and this is provided by energy-efficient LEDs. To refine its design and win approval from the judges, SOM did a full-scale mock-up of their courtroom, which groups all the parties closely together. Sidewalls clad in ribbed gypsum reinforced plaster assure good acoustics, for audibility is the highest priority of all. A tilted ceiling diffuses the natural light, and every position—including the raised dais of the judge—is wheelchair accessible. “America’s civic buildings offer a permanent record of our democracy’s values, challenges, and aspirations,” declared Hartman at the opening. Though the SOM courthouse is a demonstration of these ideals, the reality is that ever fewer Americans can afford a day in court, given the dizzying rise of legal costs. That’s the next big case for judges and legal associations to ponder. 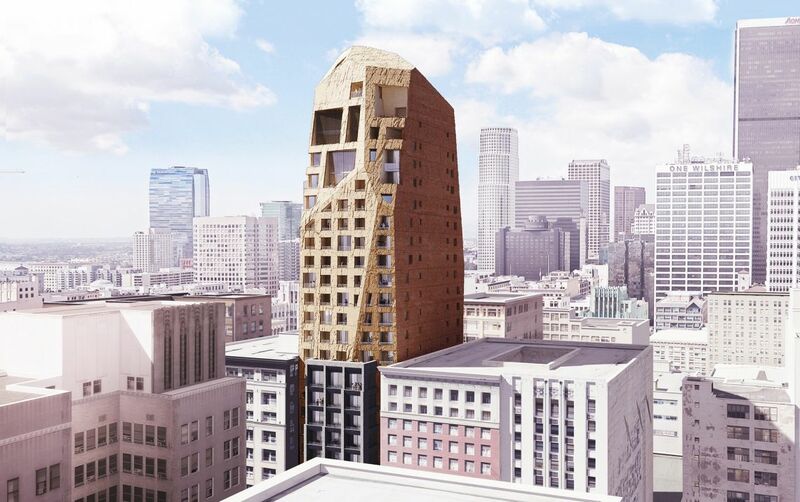 New details are emerging for a striking tower designed by Buffalo, New York—based Adam Sokol Architecture Practice (asap) for Downtown Los Angeles’s Historic Core. The proposed 28-story Spring Street Hotel will replace an existing parking lot sandwiched between 19th-century skyscrapers and will feature a 170-key hotel. The tower, developed by New York—based Lizard Capital, will rise to 338 feet in height and will feature an automated parking garage that will contain 63 stalls. The project was originally expected to rely on existing parking structures in the surrounding neighborhood for guest parking, but a draft environmental impact report for the project details three levels of subterranean parking with two floors of automated stalls. The report also indicates that the mixed-use project will contain ground-floor retail, including a 7,050-square-foot restaurant and a 3,780-square-foot “gallery bar.” The project will make ample use of rooftop amenities further up the height of the tower, including a 3,780-square-foot rooftop bar and lounge, as well as a 2,770-square-foot pool deck. The inside of the building is set to contain a large conference and movie screening room as well as a 1,000-square-foot gym and 1,000 square feet of office space. The tower’s unconventional, faceted upper floors cap a more traditional and contextual, gridded base that's designed to match the surrounding structures in terms of scale and proportion. This lower section also matches at the cornice line with the surrounding 12- to 13-story early skyscraper towers along Spring Street. The remaining height of the tower not only changes geometry and texture, but also steps back as it rises further. The upper section of the tower features a regular array of punched openings that turn irregular toward the sharply faceted crown. There, renderings released by the architects showcase a series of larger, square-shaped openings and loggia spaces, presumably the lounge and restaurant spaces. HLW International will act as Executive Architect and Architect of Record for the project. The project is expected to start construction later this year and is due to be completed by mid-2019. A decade ago, Sweden's tallest building went up with a twist. The "Turning Torso" by Santiago Calatrava rises up elegantly on the coast of Malmö, a low-rise city that is Sweden's third largest. That same year, across the equally impressive Øresund Bridge that links Copenhagen with Malmö, a sprightly 31-year-old Bjarke Ingels was founding his studio, Bjarke Ingels Group (BIG) in the Danish capital (his hometown). Today, Calatrava's tower still lays claim to its 2005 title, but Ingels' firm has arguably reached greater heights since then. 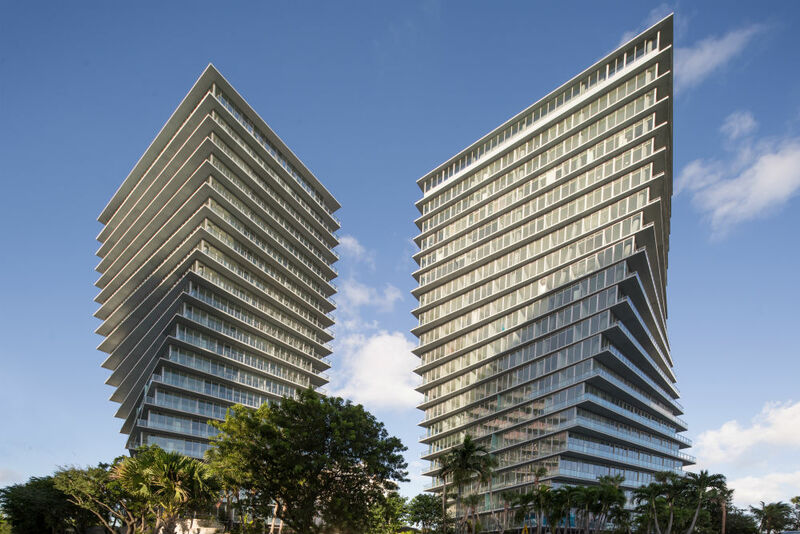 Just over a decade later, BIG has completed its second project in the United States: The Grove at Grand Bay, a pair of luxury 20-story towers that emulate Calatrava's contortions. From Malmö to Miami, however, climatic conditions could not be more different. While cold winds bash the Swedish shoreline, appearing to sculpt Calatrava's work into shape, the same cannot be said in humid south Florida (except for the occasional hurricane, maybe). However, that is not to say BIG's towers are out of place. The glass-clad twisting high-rises at Coconut Grove on Miami's coast bring with them a welcome breeze to the area–even if only implied. Accommodating 98 units, the two towers have floor plates that have been rotated incrementally by three feet from the third floor through the 17th. This feature, twinned with the 12-foot-tall custom insulated fenestration that traces the perimeter of each floor, facilitates balcony space that offers views over the tranquil Biscayne Bay. Panoramic vistas, in fact, can be found all around, especially on the upper levels where residents can look onto South Beach and downtown Miami, something which Ingels said echoes the expansive views associated with the "Caribbean sense of modernism" found in the vicinity. "The main view, though, is out over the water," said Ingels at a presentation of the project in his Manhattan office. The winding nature of the towers caters to the ocean, allowing the luxury units, which range in size from 1,276 to 10,118 square feet (2 – 6 bedrooms), as much exposure as possible to the waterfront vista. "Even though they are perceived as side-by-side, they don't block each other's views," Ingels explained. Optimum orientation, he continued, is realized at the 17th floor—three levels below the top. Ingels also discussed the task of structuring the buildings, for which BIG sought the expertise of Vincent DeSimone, who passed away this November. He described DeSimone (whom he referred to as “Vince”) as a “visionary" and called him "one of the greatest engineers" he worked with in his practice. DeSimone's solution saw poured concrete columns follow the floor plan, rotating with the structure, appearing at a glance to wrap around the building. As for the amenities for the project, luxury add-ons come thick and fast. Five pools for all residents, a 25-meter lap pool, a jacuzzi as well as four more pools for residents in each tower and the owners of rooftop penthouses are included. A fitness center, private treatment spa, and even a spa for pets comes too, along with a library, private dining room, and a "kids and teen room." Developer Terra has spent big on art with $1.2 million going toward sculpture and works in a curated art gallery. Parking for owners of dwellings above 4,000 square feet is also available on site. Unit pricing ranges from $2.96 to $25 million—though all are sold out. The Australian Institute of Landscape Architects (AILA) has presented this year's National Landscape Architecture Awards. The winners span an eclectic mix of typologies ranging from penguin viewing platforms to waterfall trails and healing gardens. The AILA chose 40 state-level finalists from ten categories: Civic Landscape; Parks and Open Space; Infrastructure; Cultural Heritage; Land Conservation; Tourism; Urban Design; Research, Policy and Communication; Communities; Gardens and International. "The winners range in focus and theme, but all have appreciated the merit of urban green spaces and sustainably minded infrastructure to promote health, social and economic prosperity for urban and regional communities," the AILA said in a press release. AILA National Civic Landscape Award of Excellence Lady Cilento Children’s Hospital, Brisbane Conrad Gargett Landscape architecture firm Conrad Gargett were duly rewarded for their inclusion of a "Healing Garden" at the Brisbane hospital. With the design based around the concept of a living tree, 11 gardens—primarily used for therapy and recreation—can be found on the rooftops. 23,000 plants can also be found on the building's green extensive roof. 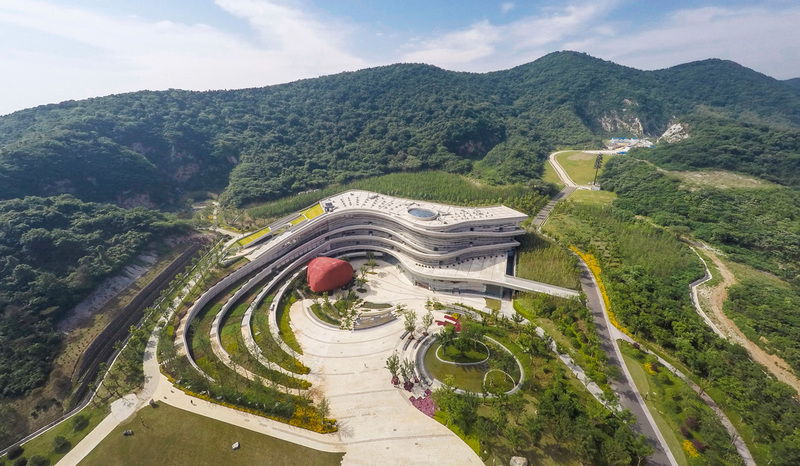 AILA International Award of Excellence Nanjing Tangshan Geopark Museum Hassell According to the AILA, the project is an "experiential and immersive gateway and forecourt" for the Nanjing Tangshan Geopark Museum, which was designed by Parisian architect Odile Decq. Multidisciplinary firm Hassell integrated a network of pathways and gardens into a 15-hectare park that includes a 300 million-year-old Paleozoic quarry. AILA National Award for Parks and Open Space McCulloch Avenue Boardwalk Site Office Completed on a "modest" budget, the McCulloch Avenue Boardwalk sets travellers within the diverse topography and landscape of the site. "What could have been a simple boardwalk through a dune has become an experiential journey that rewards the user with a sense of pride and enjoyment," said the AILA. "No longer will be the destination be the focus." AILA National Parks and Open Space Award of Excellence MacKenzie Falls Gorge Trail Hansen Partnership Creating new routes through Grampians National Park, urban design, planning, and landscape architecture firm Hansen Partnership were able to cast MacKenzie Falls Gorge (one of Australia's largest waterfalls) in a new light. Bolted steel bridges and mesh pathways are able to endure flooding and fires (but can't protect you from spiders). AILA National Gardens Award of Excellence Forest Edge Garden Jane Irwin Landscape Architecture Jane Irwin Landscape Architecture approached this project with the view to blend the garden into the terrain. The result was a subtle and elegant series of interventions that kept the existing landscape in harmony with the dwelling through careful design, plant species selection, and water management. AILA National Tourism Award of Excellence Penguin Plus Viewing Area Tract Consultants with Wood Marsh Architecture On Phillip Island, tourists can catch glimpses of penguins both inside and outside this curvaceous, topographic timber structure by planning and design firm Tract Consultants with Wood Marsh Architecture. "The work is beautifully detailed and provides a replicable prototype for the development of other components of this fragile landscape into the future," said the AILA. AILA National Award for Communities Get Sunflowered OUTR Research Lab, RMIT University Get Sunflowered saw new life come to the Latrobe Valley in Victoria, Australia. Community events include cleaning, planting, weeding, watering, and "harvesting"—all accompanied by local live music, food, and entertainment. The AILA praised Get Sunflowered for making use of a forgotten place which has been subject to a population and economic shift. AILA National Award for Civic Landscape Glenorchy Art and Sculpture Park (GASP!) Stage 2 McGregor Coxall Multidisciplinary firm McGregor Coxall's work the second stage of the Glenorchy Art and Sculpture Park pays extensive tribute and homage to the dramatic landscape of Wilkinson’s Point. The "build it and they will come" approach has paid dividends and is, according to the AILA, a well-used civic and cultural space. "It has captured the imagination of locals and visitors as well as being recognized nationally and abroad." AILA National Award for Infrastructure Sydney Park Water Re-Use Project Stage 2 Turf Design Studio and Environmental Partnership Juggling numerous constraints, Turf Design Studio and Environmental Partnership educate visitors to Sydney Park on environmental issues and the value of inner city green space. Integrating ecology, play, stakeholder management, engineering and sustainable water management requirements within an existing and well-loved inner city park is a difficult brief in any context," the AILA said. "The project beautifully expresses the forms, shapes, context, ecology and management of water, while also focussing on people, place, habitat and ecology." AILA National Award for Land Conservation Shipwreck Coast Master Plan McGregor Coxall Shipwreck Coast in South Victoria is a popular tourist destination on the Australian southeast coast. Tourists, however, are the issue at hand with their presence threatening the site they flock to. Tackling this challenge, McGregor Coxall (in their 4th mention in the full list of 40) tie in habitat preservation with investment opportunities while maintaining and amplifying the sight-seeing experience–something which is a must for the economic prosperity of the area. A new 34,000-square-foot residential building in New York's Noho neighborhood resonates with a landmarked district of highly crafted facades by echoing their predominantly low-rise scales, regular structural bay rhythms, and large windows. 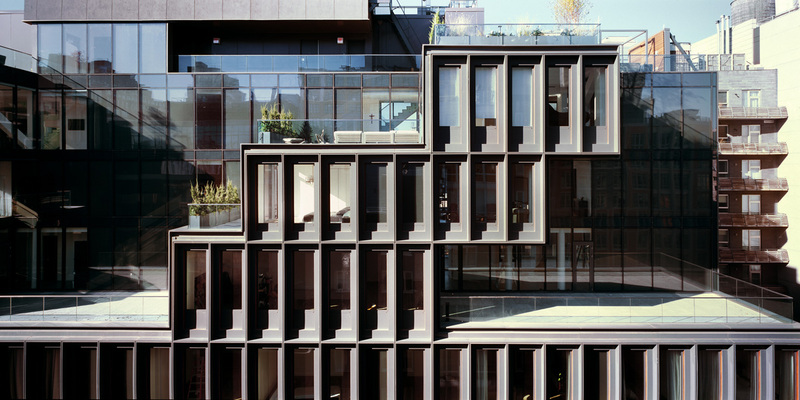 The 11-unit building is located on Bond Street—a two-block street that has become notable for its wave of contemporary architecture (Herzog & de Meuron's first residential project in the United States, as well as buildings by Deborah Berke Partners, and BKSK Architects, among others). Among these recent projects, 10 Bond Street, designed by New York-based Selldorf Architects, further adds to a context where historic and contemporary architecture coexist in complementary fashion. Sara Lopergolo, partner at Selldorf Architects, said that the project team was inspired by the deep russet colored brick of existing buildings adjacent to the project site on Lafayette Street. "Working on the proportions and the scale of the building was important to us. We wanted to find something very grounded in the neighborhood, but also present a contemporary face for this new building.” Selldorf Architects worked with Boston Valley Terra Cotta to design a rainscreen cladding of profiled panels in a custom glaze. The panels are trimmed with weathered steel, which rises beyond the facade to frame a rooftop terrace. On grade, the entry is marked with a mahogany ship-lapped siding. According to Lopergolo, the terra-cotta manufacturing process is akin to an “advanced Play-Doh machine,” allowing the production of highly specific custom shapes and colors. “We've been working with terra-cotta for a very long time and like to think of this as our material even though others are using it. What is so lovely about it is that its color is customizable, and that you can shape it anyway you like. The glaze creates a certain depth and character that you can't get out of other materials. The way the light catches it is very nice.” Bill Pottle, Boston Valley's international sales manager, said that the two companies have collaborated on a handful of projects. “Around 2000, the first terra-cotta rainscreen job came to the United States. Since then, the material has become very popular—it has grown from something rarely used by architects to a material that has made it into an everyday palette. 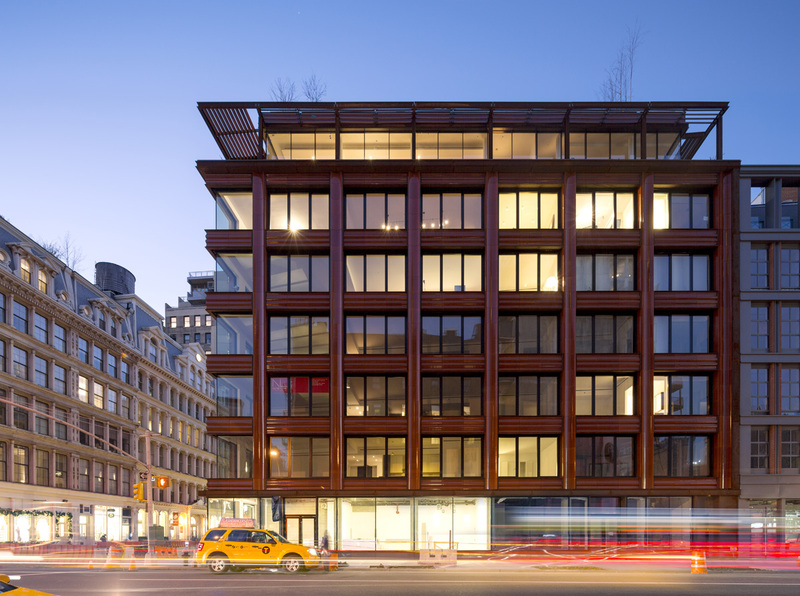 10 Bond Street is part of a second wave of terra-cotta jobs we are seeing that incorporate larger, more three-dimensional shaped pieces, not just flat rainscreen panels.” In the case of 10 Bond, the panels were manufactured around 36-inches long and weighed in at around 150 pounds each. The larger, more complex panels require more thought be put into the detailing of attachment clips. According to Boston Valley, often this results in modification of standard clip details, or in some cases the development of a one-off custom attachment detail. According to Pottle, most terra-cotta panels have a shrinkage rate of around seven percent, which is accommodated by digital software when producing dye geometry. "We use the same clay body mixtures and the same formulas so we can determine the shrinkage rate well before production." To help manage shrinkage throughout the process, the panels are constructed with a hollow core that incorporates webs to support a scalloped profile. The backs of the panels are flat to allow for the pieces to lay on a flat surface throughout the curing and glazing process. Full-size mock-ups allowed the architects to confirm a specific coloration and helped the project team to finalize custom attachment clip detailing. Lopergolo said one of the challenges with the weight of the panels was ensuring open joints between panels were dimensionally uniform. Pottle said the mock-up process is also an essential opportunity for the manufacturer to confirm quality control. Mock-ups allowed Boston Valley to see how the custom dyes were performing and helped ensure the extrusion process ran properly prior to the upcoming production phase. They will examine the extrusion process for quality control and confirm the rate of shrinkage of the pieces is accurate. A skewed street grid presented the design team with what Lopergolo called a "fun and challenging" floor plan layout exercise. A living room location at the southwest corner receives a wrap around corner window unit, and benefits from an automated exterior shading system, which is integrated into the buildings two primary facades—a southeastern and southwestern exposure. Occupants can override sensors that drive exterior shade motors. 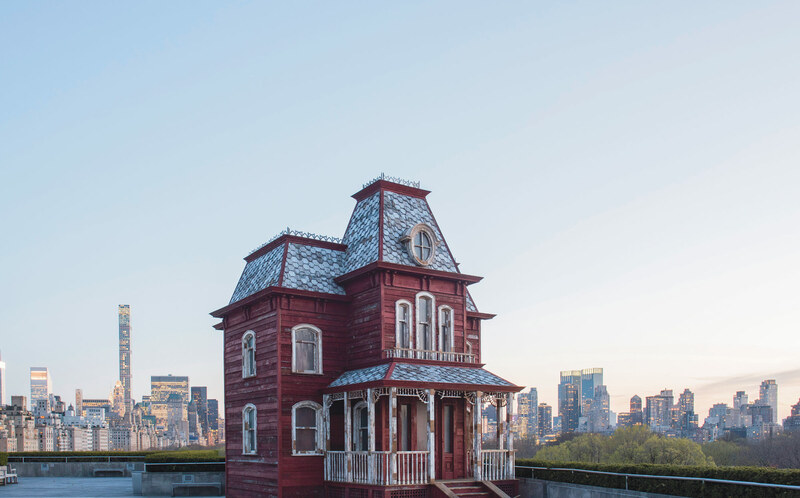 Selldorf Architects, who work on a range of project types—galleries, museums, housing—said its work with New York Landmarks Preservation Commission is especially significant. "We enjoy working with Landmarks—what they contribute is important for the city. With these condominium buildings, of course, the goal is to make nice apartments for our clients, but we also see this as an opportunity to give back to the city. We're very proud of this project—we'll still receive random emails from strangers saying they passed by the building and loved it—it is very sweet that people take the time to do that." Earlier this week, Oceanwide Real Estate Group revealed plans for the addition of a new Park Hyatt hotel branch to be located at the currently-under-construction Oceanwide Plaza development project in Downtown Los Angeles. 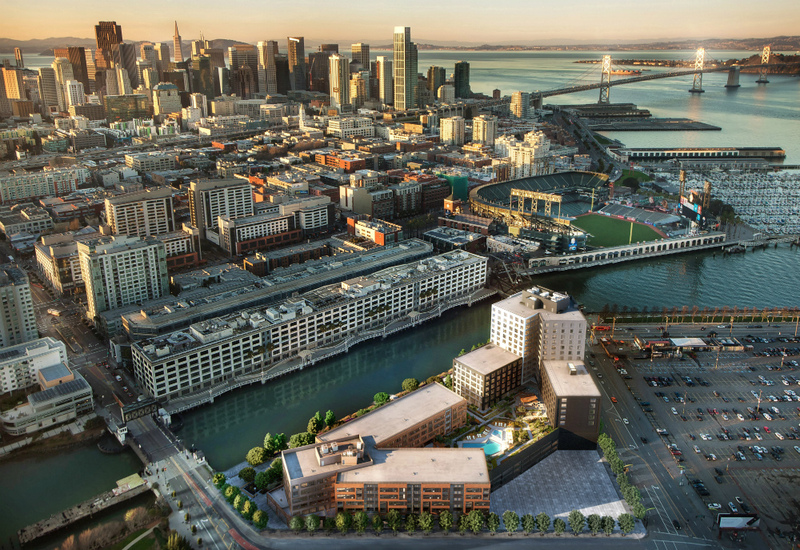 Following up on these additional details, the developer has also released a slew of new, glossy renderings by visualization firm Visualhouse for the CallisonRTKL-designed, mixed-use mega-project. 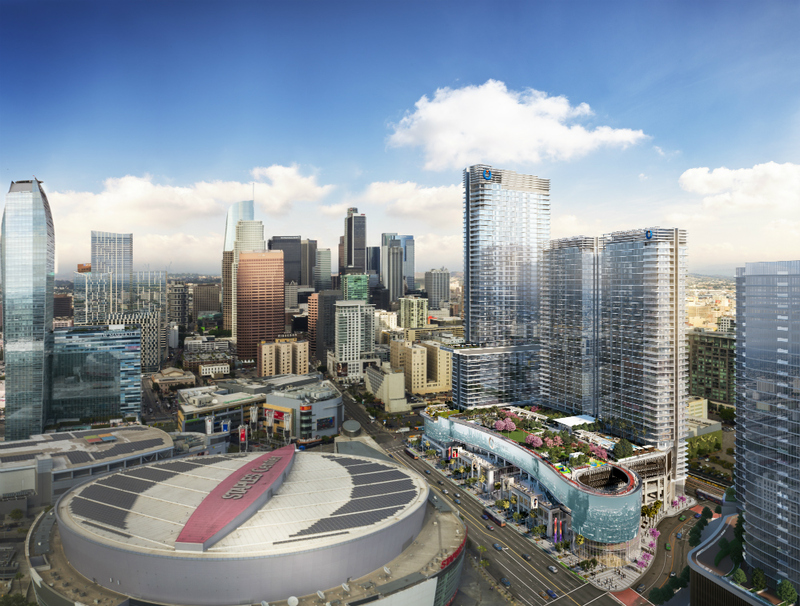 The $1-billion development will bring three new towers to the Los Angeles skyline, including a 677-foot hotel spire that will contain two separate pool decks, 184 hotel rooms, and some number of the total 504 condominiums to be located on the 4.6-acre site. The two neighboring, 40-story towers will contain the remaining condo units and will share a rooftop amenity terrace that will the complex’s 100-foot-tall podium of retail space. The podium, dubbed The Collection at Oceanwide Plaza, will be laid out as an indoor-outdoor, multi-level pedestrian mall and is to contain 150,000 square feet of commercial space. The entire complex's retail component will be wrapped by a 32,000-square foot LED ribbon wall. The Oceanwide Plaza project joins a collection of other Chinese developer-backed tower complexes coming to the area, with Greenland USA’s Metropolis and Shenzhen Hazens’s 1020 South Figueroa project, both of which feature retail, hotel, and residential components, taking root on either side of the newly-updated complex. For more information on Oceanwide Plaza, see the developer’s website. "Surface Presence," the title of WEISS/MANFREDI cofounder Marion Weiss' upcoming keynote presentation at Facades+Dallas, "captures the essence" of the firm's recent investigation of the facade as more than skin, she said. "We've been very preoccupied in our own projects with landscape, topography, sequence, section, and movement." "The idea of section and movement has often been obscured in the facade," explained Weiss. But if sequence, section, and movement can instead be revealed by or encoded in the building envelope, "we could also look at the facade as something not so much tied to reductionist modernist ideals of what glass can be—that is, transparent." Among the six projects Weiss will highlight in her talk are three that treat glass "as a material that has a presence, that has a life": the Krishna P. Singh Center for Nanotechnology, the Novartis Office Building, and Barnard College Diana Center. WEISS/MANFREDI has also explored the surface potential of materials beyond glass. For the just-dedicated Kent State Center for Architecture and Environmental Design, the architects worked with brick maker Belden to apply ancient technology to a custom pattern that inverts the usual focus on the ground plane. The facade of the Marshall Family Performing Arts Center near Dallas similarly examines the "tug between section and surface," said Weiss, through a combination of earth-colored brick and fritted glass. Finally, said Weiss, the fifth facade—the roof—has the capacity to act as a "chameleon," as at the Brooklyn Botanic Garden Visitor Center. There, the rooftop garden, overlaid on a glassy conservatory roof, expresses the "tension between complete transparency and the surface of the ever-changing medium of the roof," she explained. Hear more from Weiss and other thought leaders in high-performance facade design at Facades+Dallas. Register now to secure one of the few spaces remaining.